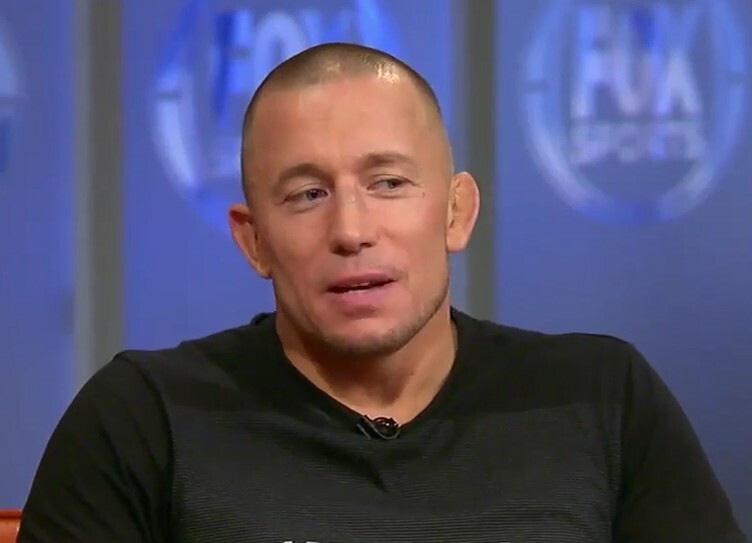 I recently had the privilege and honor to host a Q & A session at The Gentlemen’s Expo with former UFC Welterweight Champion Georges St-Pierre. This was the second time Georges and I were able to do this for the trade show but this time around, GSP sounded off. The Canadian Icon fired a variety of verbal shots towards the UFC and sent a message that the time had come for him “to change the game”. He explained that professional “athletes in the seventies and eighties did not get their fair share”, and the same thing was happening in MMA. He continued by stating how he believes he is one of the lucky ones, to still be “healthy and wealthy” but a wake up call triggered something within him to perhaps focus on something other than what he was doing before. He was eyeing a fight with Michael Bisping at UFC 206 in Toronto, but when it didn’t work out, a light bulb went off in his head. After speaking with his agents, the conversation turned towards the potential of “an association” for fighters and that fighters actually did have viable options outside of the UFC. He realized he had a minimum of three options (including fighting for the UFC) but there were likely more. As I mentioned in the video, I’ve long maintained that when it’s all said and done, St-Pierre’s legacy will not only be about what he accomplished as a competitor, but also what his role will be outside of competition. There is the Muhammad Ali Act which protects fighters from promoters, but something similar in Mixed Martial Arts, to give the fighters a fair shake as well. He replied with a foreshadowing of things to come. “What’s happening now … it’s not if it will happen … it will happen, sooner or later. It’s like any other sport. It will happen. Guy’s like me, Conor (McGregor), guys that are a big draw, they can fight that battle," he said. In essence, he wants the big boys to start fighting for their little ones. He went on to speak about how the fighters are treated by the UFC, especially those on a two fight losing streak and how easy it seems, for them to get cut. He emphasized “This should not happen”. To say he is frustrated would be an understatement. Georges’ stance was stern. He expressed a desire to be the leader for those who are not as fortunate has he is in the fight game and he believes enough is enough. It’s time to make a change. “This is not right. I will always be for the right way, and this is not right. I’m not asking for something too much. We are asking for the right way”. The full interview was just under an hour and the video here is approximately one third of the entire appearance. One of the key points that Georges stated was that in other sports, the athletes get their fair share … somewhere between 50/50 with the leagues they play for. And that was a number he would be happy with. What he did state was that he no longer wanted to fight for “eight percent”. That forty-two percent difference between what pros make in the other sports, and what the elite make in MMA must be addressed. If St-Pierre and McGregor are making just 8% and they are two of the top draws in the UFC, then one can just imagine how much those below them are making. We are on the precipice of a major change potentially happening in MMA and with GSP, Conor, as well as Cain Velasquez, Donald Cerrone and TJ Dillashaw piping up (and let’s not forget Jose Aldo Jr.), the business of MMA outside of the cage is definitely about to pick up.